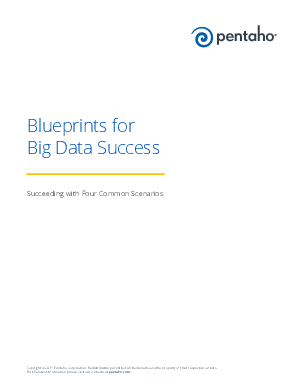 If you’re considering a big data project, this whitepaper provides an overview of current common use cases for big data, from entry-level to more complex. You’ll get an in-depth look at some of the most common, including data warehouse optimization, streamlined data refinery, monetizing your data, and getting a 360 degree view of your customer. For each, you’ll discover why companies are investing in them, what the projects look like, and key project considerations, including tools and platforms.